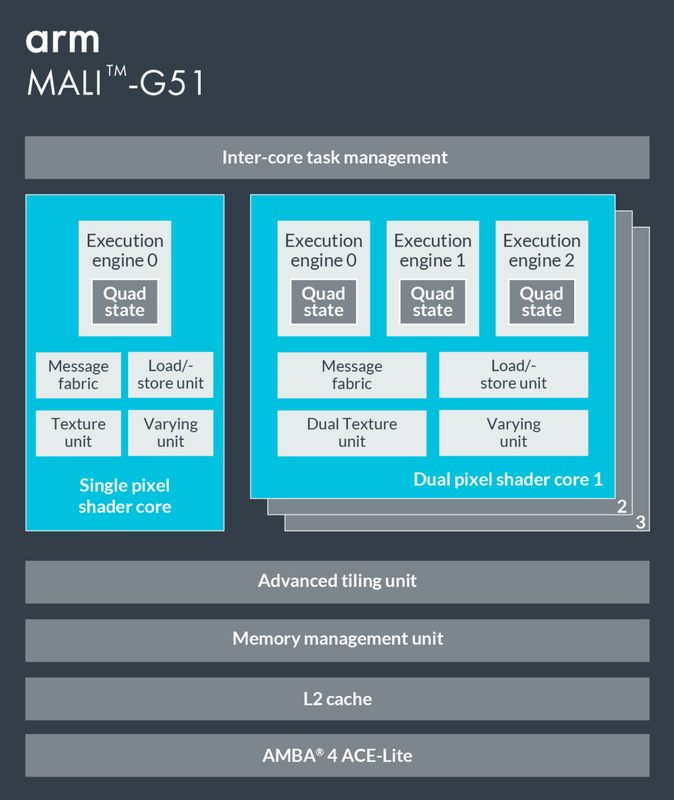 The ARM Mali-G51 MP4 is an integrated mid-range graphics card for ARM based SoCs (mostly Android based). It was introduced mid 2018 in the HiSilicon Kirin 710 and uses 4 clusters (hence the MP4name). The G51 is based on the Bifrost architecture and is intended for cheap mainstream phones. ARM suggests typical clock speeds of 650 MHz with up to 6 cores (MP6). The GPU supports all modern graphics APIs like OpenGL ES 3.2, Vulkan 1.0, OpenCL 2.0, DirectX 12 FL9_3 (versus 11 in the G7x line) and Renderscript.